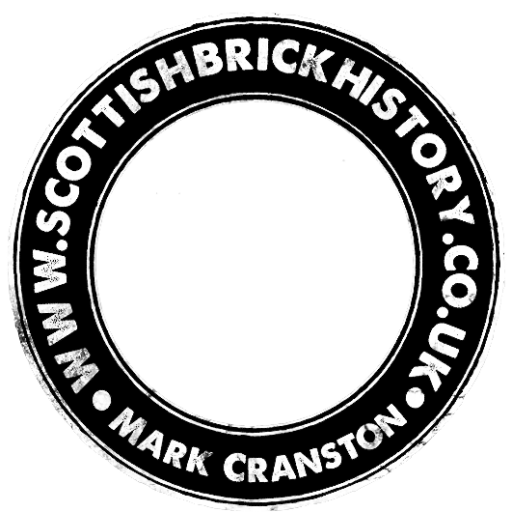 1885 – 1886 – James Allan, brickmaker, Craighall Brickwork, Port Dundas ; house, Craigbank cottage, Keppothhill rd. Below – 1879 – Glasgow Herald – Craighall Brickworks for lease. Previous Article Cuttlehill Tile & Brick Work, Leven, Fife. Found by Eddie McLean on the banks of the River Kelvin, Glasgow. 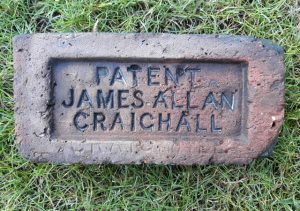 James Allan, brickmaker, Craighall Brickwork, Port Dundas ; house, Craigbank cottage, Keppothhill rd. . . . .
Below – 1859 – Hillhead Tile Works. 1860 – 1861 – Extracts from valuation rolls. 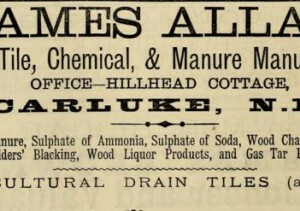 Alexander Allan, Hillhead Farm – Clayfield with claymill, steam engine, sheds and kiln Below – 15/02/1868 – HamiltonAdvertiser – Mr Allan’s Hillhead Tile Works, Carluke for sale. 1870 – 1871 – Extracts from valuation rolls – James Allan, Tilemaker, House – Hillhead cottage bushelhead…. Eastpark Brickworks, Gairbraid Street, Maryhill, Glasgow. 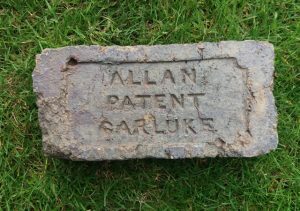 Found by George Kennedy in the Carluke area James Allan, Brick and Tile Manufacturer, Carluke . . . .